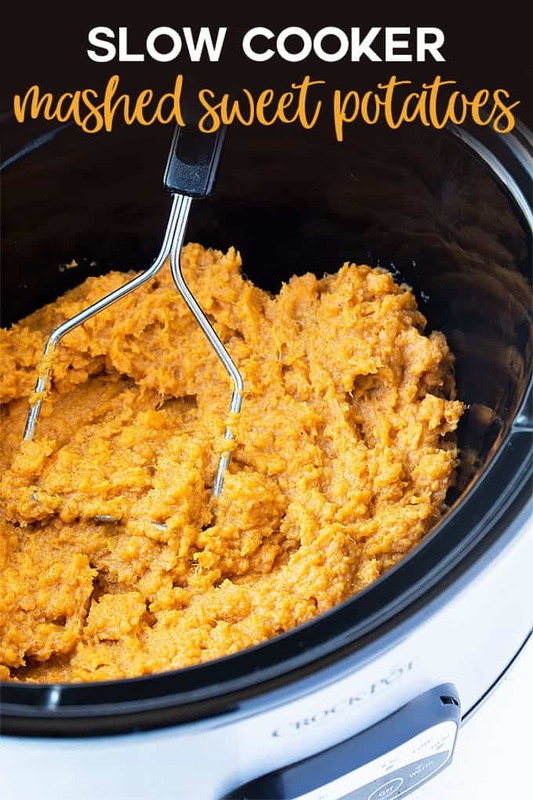 Just a handful of ingredients and a slow cooker are all you need to make these amazingly delicious Slow Cooker Mashed Sweet Potatoes. 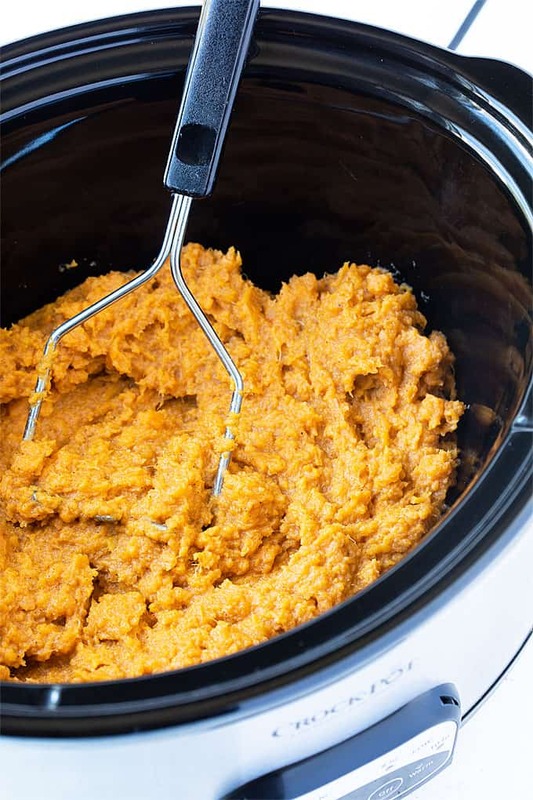 I love being able to free my stove up any way I can during the holidays by using my slow cooker. 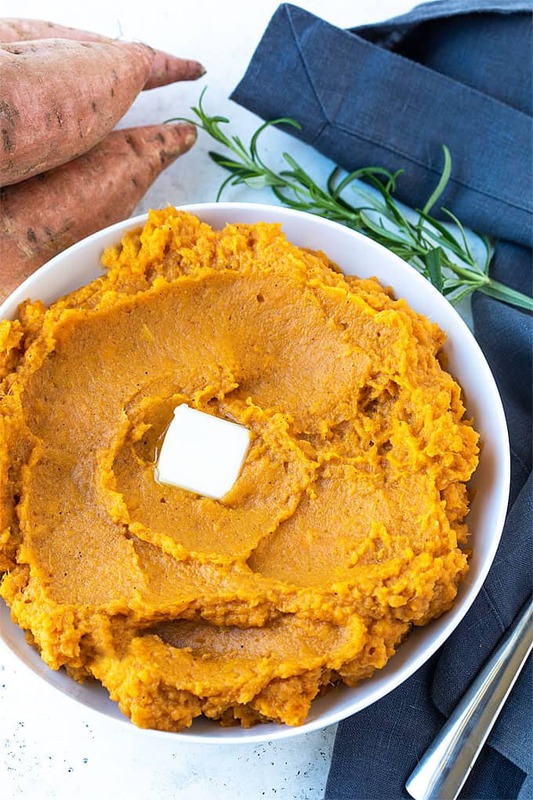 I served these mashed sweet potatoes on Thanksgiving day and they were a huge hit, so I’m making them again for our annual Christmas Eve dinner. They’re so EASY to prepare! 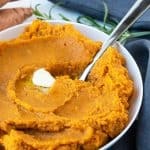 How do I make Slow Cooker Mashed Sweet Potatoes? It couldn’t be more elementary. 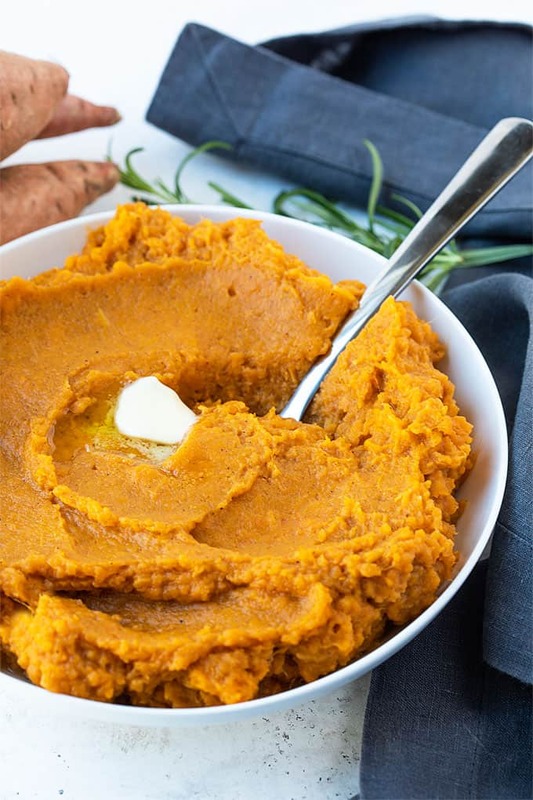 You’ll need to peel your sweet potatoes and cut into about 1-1/2 inch chunks. 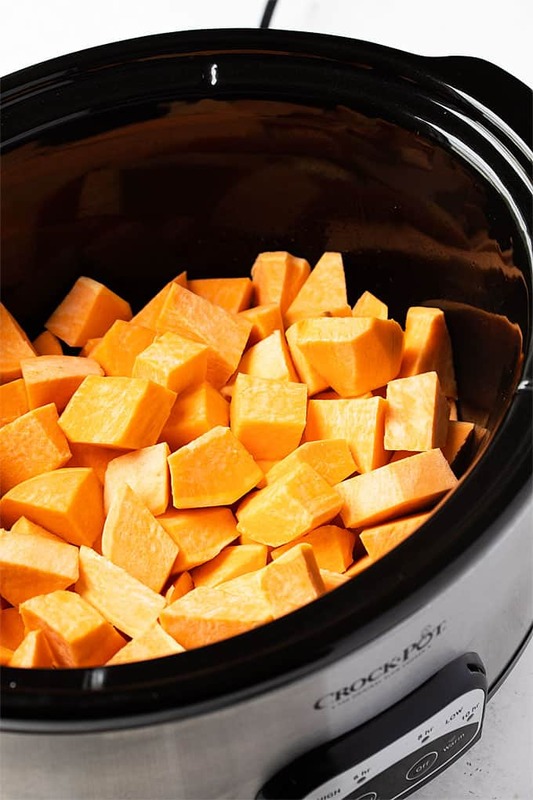 Spray your slow cooker insert with cooking spray before adding the sweet potatoes. Cook on high heat for 2-1/2 to 3 hours or low heat for 5-6 hours. 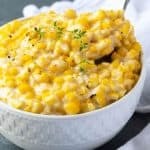 Add the remaining ingredients, whip them up and you’re DONE. 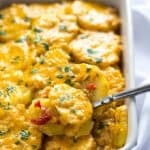 I used a potato masher, but you can also use a hand mixer for a more whipped consistency. Hooray for easy holiday (or any day!) 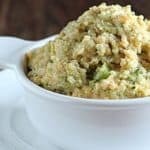 side dishes. Enjoy! 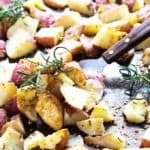 Spray the insert of your slow cooker with cooking spray. 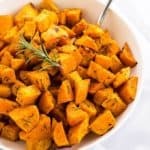 Add sweet potato chunks. Cover and cook on high heat for 2-1/2 to 3 hours or low heat for 5-6 hours. Add butter and allow to melt. 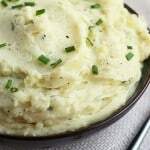 Add remaining ingredients and mash using a potato masher or mix with a hand mixer. Add more milk for a creamier consistency, if desired.